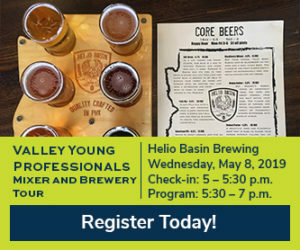 Join the Valley Young Professionals for a tour and mixer at SRP's Arizona Falls and discover a hidden gem in your backyard! The transformation of this historic waterfall by SRP, the Phoenix Arts Commission, and the Arcadia neighborhood allows visitors to experience something old and something new. 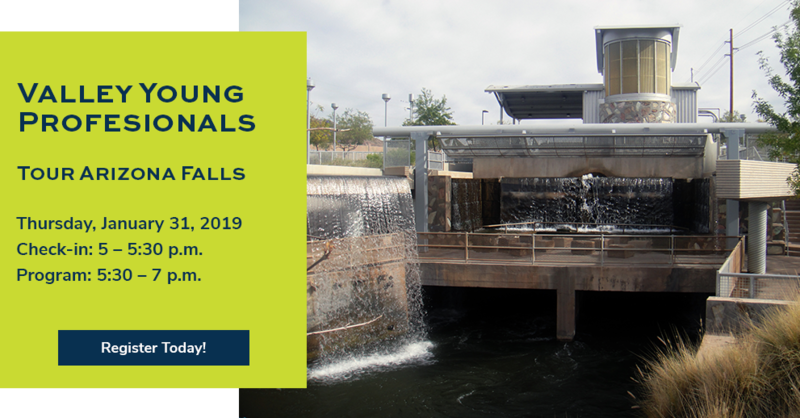 Arizona Falls, formed by a natural 20-foot drop along the Arizona Canal between what is now 56th and 58th streets, reopened in June 2003 as a restored hydroelectric plant and neighborhood gathering place where visitors can learn, interact, and reflect. Arizona Falls combines art, history, and technology to generate clean electricity from the canal's waterfall. 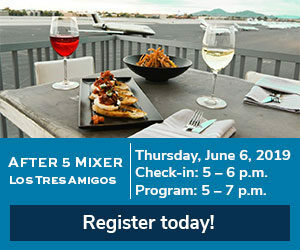 Enjoy an evening filled with an informative tour, networking, refreshing drinks, and delicious appetizers. Due to scheduled maintenance, the waterfall will not be operational during this event.